System 3 Business Solutions is a long established, leading business computer specialist. Based in East Anglia and operating throughout the UK, our teams of IT and business professionals have a wide range of skills and experience to meet your business IT requirements. Our aim is to help companies overcome problems and challenges, and to meet their business objectives, through the use of the most appropriate computer, network and, systems and infrastructure technology. We make it our mission to provide the highest degree of service, value and benefit to the organisations who seek our advice and invest in our solutions. As a company we’ve been involved in the Personal Computer industry from the very beginning and seen dramatic changes in the technology available to our clients. We’ve also seen Microsoft grow from being a small company to become by far the most dominant global company in business computing. 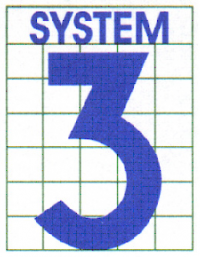 In 1985, The original ‘System 3’ company was founded by Ken Parish, as a bespoke software development company for IBM Midrange computers. In the late 1980s, when the first generation of IBM Personal computers began to appear, we responded by starting to supply and install them for our clients, under the leadership of David Parish, Ken’s younger brother who joined the business in 1988, after leaving the RAF where he’d been involved in maintaining state of the art avionic systems. The PC side of the business grew substantially and it soon began to build up its own client base, with everyone keen to benefit from the PC’s original ‘killer applications’ which included Lotus 123 & Wordstar. We were also involved in the beginnings of early networking and connectivity. When Ken decided to move on in 1995 David and a colleague took over the business as joint MDs, with David retaining responsibility for the PC Division, which continued to flourish and grow. In 2003, with the two elements of the business becoming increasingly divergent, it was decided that the time had come to separate the organisation and its staff into two independent businesses. System 3’s PC company became System 3 Business Solutions Ltd with David as Managing Director and longstanding employees Steven Clare and Simon Read joining him as shareholders. We continue to set the pace today, currently holding numerous Microsoft Gold and Silver competencies, making us one of the best Microsoft qualified companies in East Anglia. Locally, we believe, we are the only West Norfolk to hold any Microsoft Competencies whatsoever! As well as our unrivalled technical knowledge, we’ve also gained tremendous practical experience from helping many different types and sizes of business gain the most from their investment in IT over those 30 years. That experience that can also benefit your business. So if you want the best for your business, talk to the East Anglia's best IT company and find out what we can do for your business. Our offices are based in King's Lynn and we support clients all over Norfolk, Cambridgeshire, Suffolk and Lincolnshire including Norwich, Peterborough, Cambridge, Bury St Edmunds, Swaffham, Downham Market, Thetford, Wisbech, Boston, Spalding, Hunstanton, Dereham, March, Cromer and Diss to name a few. We are not limited to East Anglia and provide IT solutions to clients all over the UK. Please contact us for more information or call us today on 01553 636 444 and ask to speak to a specialist.